Universal programmable station AM3000 is designed to gain analog and digital signals for terrestrial and satellite broadcasting. 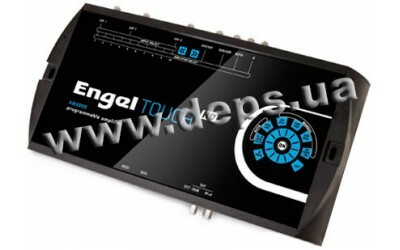 AM3000 programming is effected by sensor buttons and display on the front panel. No programmer nor PC is needed to adjust the station. AM3000 has 7 inputs with separate gain and one wideband output: 6 inputs of air TV range and 1 satellite IF input. 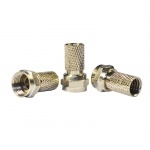 Three separate inputs: UHF1, UHF2 and UHF3 are used for amplification and filtering of UHF channels. Selective filters (clusters) 1-2, 3-7, 8-9,10 may be connected to the inputs UHF1, UHF2, UHF3 in various combinations (see block diagram below). Each cluster band can be freely selected from the 470-862 MHz range and its width can be programmatically set from 1 to 7 channels (8 - 56MGts). UHF amplifier output level is 125 dBuV (IMD3 = 54 dB). Amplification station supplies 12V/24 V power to mast amplifiers of all TV inputs. 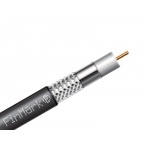 Through satellite IF input the control voltage in feeded for satellite LNB (13/18 V-0/22 kHz). Its adjustable via menu and commutable (on/off) to each antenna input. Automatic tuning - in two steps. Step 1: Select the channels due to UHF inputs. The system will automatically determine the clusters configuration. Step 2: Set the desired output level. 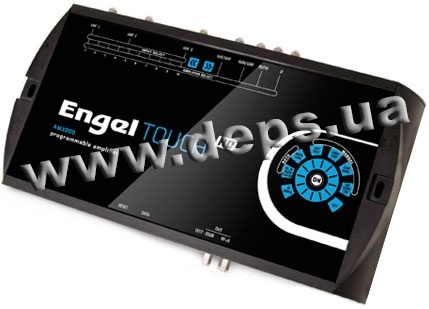 The system will automatically adjust the values of the internal attenuators for setpoint of output level.